WINSLOW––Patricia “Pat” Reny, 91, passed away at home on Thursday, March 15, 2018. She was the wife of the late Raymond J. Reny who passed away on December 7, 2017. Together they raised six children, all of whom they were very proud. Patricia started her working career at C. F. Hathaway Shirt Factory, in Waterville, as a stitcher for many years, then worked at the chicken hatchery and sold many veggies at “Pat’s Wayside Garden”. Patricia celebrated her family in the way only mothers know how, through their love of food and gathering. She shared her spirit of cooking with everyone she loved, and although few have mastered her recipes, they will be remembered by many. And what fun would a family gathering be, without a deck of cards (seven and up only! ), and pairing-up for a game of Charlie. Pat was spritely at the table and could outwit us all. Even in her last days she continued to enjoy crossword puzzles with her family by her side; the Morning Sentinel jumble rarely left undone. The joy, caring and patience she shared with her family will be missed. Patricia is survived by her son Edward Reny and wife Beth; five daughters: Elizabeth Heavener and husband William, Paula Young and husband Terry, Carolyn LeClair and husband Jerome, Rebecca Theriault and husband Gregory, Lisa LaChance and husband Frank; and many grandchildren: Lance, Jeanine, Lonnie, Deanna, Deidre, Jennifer, Jason, Julie, Hanna, Timothy, Renee, Matthew, Chris and Cody; along with 22 great-grandchildren. Patricia was one of seven children of Patrick and Ludivine LaChance. She is survived by her brother Arthur LaChance and wife Gerry, sisters Dorothy Reny and Jacqueline Plourde and husband Arthur. She was predeceased by her brothers Edmond and Larry LaChance and Cleo Fortin. A special thanks to sister-in-law Muriel Grenier, the only surviving sibling of her husband Raymond Reny. An online guestbook may be signed and condolences expressed at www.gallantfh.com. In lieu of flowers, donations can be made to: St. John Regional Catholic School, 15 S. Garand Street, Winslow, Maine 04901, or one of your choice. WATERVILLE––Geraldine B. Ouellette passed away on Saturday, March 17, 2018, at Woodlands Assisted Living, in Waterville. Gerry was born in Skowhegan, November 16, 1930, the daughter of John and Imelda Miller. Educated in Skowhegan schools, Geraldine worked at Norwalk Shoe Co., in Skowhegan, until she married her husband, Fredrick Ouellette. They moved to Madison and lived there until his death in 1997. Gerry moved back to Skowhegan and lived there until she moved to Woodlands Assisted Living, in Waterville. Gerry was the oldest of five sisters who were commonly referred to as the “Golden Girls” for the close love and relationship they shared. With no surviving Children of her own, Gerry loved and doted on her many nieces and nephews. Her favorite days were spending time with family, enjoying sing-alongs, cookouts and many rides around Maine. Gerry was a devout Catholic enjoying 50 years as a member of the Daughters of Isabella. Gerry was predeceased by her husband Fred; her child Jeffrey; her brother Jack Miller, and sisters Mary Wilcox and Patricia Schinzel. She is survived by her sisters Eleanor Bouchard, of Skowhegan, and Kathleen Potelle, of Fairfield; and many nieces and nephews. 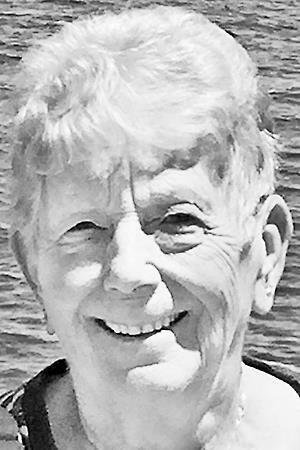 VASSALBORO––Ardath E. (Farnham) Wood, 75, died Sunday, March 18, 2018, at her home, following a long illness. She was born in Boothbay Harbor, on November 8, 1942, the daughter of the late Isaac A. and Eleanor J. (Chase) Farnham. Mrs. Wood was a 1961 high school graduate of Boothbay Region High School. In March 2000, she retired from the Department of Veterans Affairs at Togus with over 29 years of service. Some of her favorite hobbies included gardening, knitting, reading, baking and traveling. She was predeceased by her husband, Daniel W. Wood; a step-son, Karl E. Larrabee; and a step-daughter, Barbara Mitchell. Mrs. Wood is survived by two sons, Mark L. Larrabee, of Phoenix, Arizona, and Timothy K. Larrabee, of Vassalboro; two daughters, Denise E. Jones, of Vassalboro, and Mista E. Tessio, of Hope; her brother, William A. Farnham, of Somerville; a step-son, James Larrabee, of South China; a step-daughter, Carol McIntyre, of Medway; five grandchildren: Krystle, Benjamin, Alisha, Kayla and Elisabeth; two great-grandchildren, Abby and Hannah; as well as several nieces, nephews and cousins. Condolences, photos and stories may be shared at: www.plummerfh.com. Those who desire may make donations in Ardath’s memory to: Kennebec Valley Humane Society, 10 Pet Haven Lane, Augusta, Maine 04330. 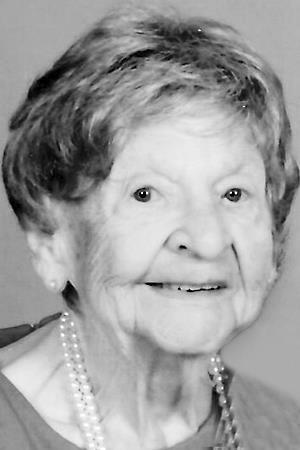 ALBION––Phyllis Arlene “Young” Lee passed away on Sunday, March 18, 2018, at Inland Hospital, following a brief illness.Phyllis was born on October 6, 1921, and lived a very long life of 96 years. She lost her son Charlton at the age of 18 which left a huge hole in her heart. Phyllis loved working with her hands, crocheting beautiful quilts, needle point, quilting very colorful pot holders, and stained glass was another of her many projects and talents. She loved the outdoors, gardening, perch fishing, fiddle heading and most of all berry picking. She was a great cook; many blueberry muffins and pies were made to be shared with her family and friends at Meadow by the Brook. 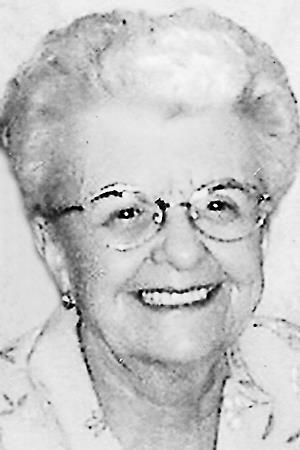 Phyllis was a member of the Washburn Brann Ward Post. She was predeceased by her parents Enoch and Eunise Young; her first husband Leon Brann; son Carleton Brann; her second husband Ellis Lee; her brothers Maurice, Basil, Donald, Stanley, Warren and Waldo; and sisters Alberta and Imogne. In lieu of flowers, donations may be made on her behalf to any charitable organization. WINSLOW––Anette E. Lovejoy, 70, of Winslow, passed away unexpectedly Monday, March 19, 2018, at Inland Hospital, Waterville. She was born in Waterville on July 7, 1947, the daughter of Basil and Maxine (Palmer) Rines. Anette was a cake decorator and retired from the bakery of Sam’s Club, in Augusta. She enjoyed going out with her daughter Joyce for paint night, spending time with her daughter Becky at the pool, and being with her daughter Janet who lived with her and spent every day in their garage dayroom. She also enjoyed her time with her grandson, Devin, who would spend time cooking dinner for her and her grandson Justin, who was there to fix any of her mechanical needs from car to lawn mower. Anette is survived by her husband Ted, of Winslow; three daughters, Janet Rogers, of Winslow, and her children Nichole and Matthew, Becky Ouellette and husband Steven, of Oakland and their children Myriah, Devin and Cody, Joyce Castonguay and husband Darrell, of Winslow, and their children Danielle and Justin; one sister Jo An Hogan and husband Eddy, of Salem, New Hampshire; four step-sons, Todd, Mark, Danny and Jay Lovejoy; and several great-grandchildren. STEVEN W. DAVIS JR., 35, of Waldoboro, passed away unexpectedly on Tuesday, February 27, 2018, at his home. Locally, he is survived by a daughter, Jenna May Davis, and Steven’s former wife, Melody M. Davis, of Washington. ARMAND LACROIX, 72, of Augusta, passed away on Wednesday, March 14, 2018, at the Comfort Care Unit at MaineGeneral Rehabilitation and Long Term Care at Glenridge, Augusta. Locally, he is survived by sisters Theresa Smith, Lorraine Ladd and husband Donald, all of Augusta, and Jeannette Gay, of Weeks Mills. STEVEN W. CHICOINE, 65, of Portland, passed away on Thursday, March 15, 2018, in Portland. Locally, he is survived by his former wife, Alice Chicoine, of Windsor. LUCILLE McDONALD, 81, of Embden, passed away unexpectedly on Thursday, March 15, 2018, at Eastern Maine Medical Center, in Bangor. Locally, she is survived by her children, Randy and Linda Cates, of Bingham, Robert McDonald, of Bingham, Lisa and Peter Foss, of Embden, and Dwayne McDonald, of Oakland. BARBARA A. WILSON, 70, of Farmingdale, formerly of Whitefield, passed away on Wednesday, March 14, 2018, at Captain Lewis Residence, in Farmingdale. She attended school in Jefferson and also attended Erskine Academy, in South China. She worked at Digital, SCI, in Augusta, and Whitefield Superette. Locally, she is survived by a son, Warner Wilson and wife Becky, of Jefferson.